MAT The Basics Nature Area Rug - White Black - Swatches may be available. Hand Woven. Contemporary. 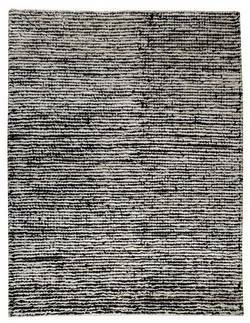 Simple yet tasteful, Nature collection is a daily use rug. Utilize one in your foyer or dining area, for an instant facelift to that space. Switching out your old rug for a new floor covering is a simple, effective way to change the feel of the entire space. Intricately knitted ribbing made from a blend of wool and hemp is available in a multitude of colorways and sizes to suit your room design needs. Hand-woven in India by hardworking craftsperson's. Hand Woven with 50% wool, 20% cotton, 30% Hemp. Stripes design. 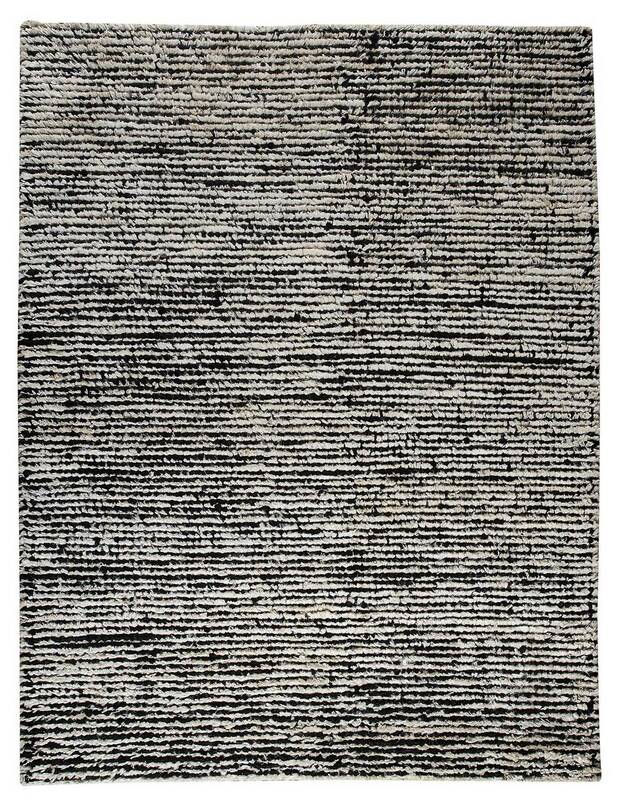 Loop and cut effect with pure new wool and hemp. Pile height is 0.5 inches. Made in India. 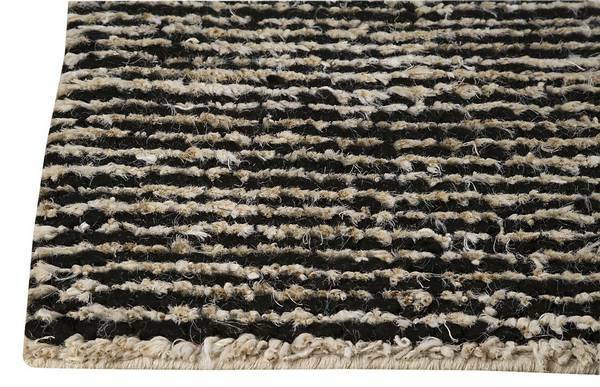 MAT The Basics Nature Area Rug - White Black 5'6"x7'10"
MAT The Basics Nature Area Rug - White Black 8'3"x11'6"